First of all look at the name All Terrain. What is the point of that anyway? At first I thought it sounded cool now I realize it was just a selling tactic. You aren’t going to have kids going through desert terrain or any of that kind of thing. There is no point in doing that except to get suckers like me. 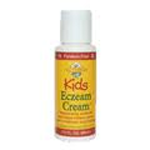 There is also no point in buying eczema medication like this for your kids. There is no medication for kids, they have it for babies and for adults, anything else is in between and does not offer the necessary strength. They said this lotion was supposed to help my kids deal with their itchy, red, burning skin, but it only works half the time because it is either too strong, or not strong enough. Product has colloidal oatmeal, a leading product in natural alternatives to rash reduction. It also has kaolin clay and zinc oxide which is supposed to be helpful in dealing with rashes. Overall I would suggest not buying this product. While my kids said that it was working, hours after using it, I still noticed the same itchy parts of their body. Sure it may help for getting rid of itchiness associated with poison ivy, but I wanted something they could use all the time. I guess if you lead a Boy Scout troop, you could use this outdoors, but for average parents, just get the adult stuff.